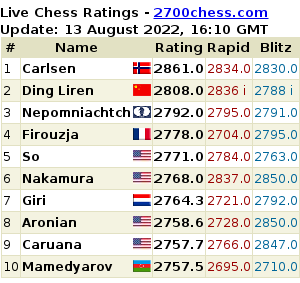 Grand Chess Tour 2016 continues when Sinquefield Cup kicks off in about a few hours. Catch the game live here. Hikaru Nakamura 0/1 (+0 -1 =0) [view games] GM Wesley So wins vs GM Hikaru Nakamura.